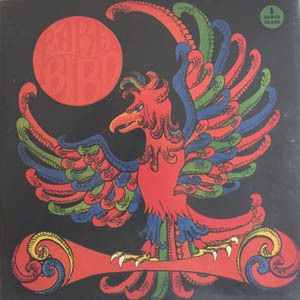 RARE BIRD are perhaps best remembered for having the distinction of being the first act to be released on Tony Stratton Smiths gloriously eclectic label Charisma records (also the home of GENESIS, THE NICE and VAN DER GRAAF GENERATOR to name but a few) and for their excellent 1970 hit single "Sympathy". Like fellow future Charisma stable mates Van Der Graaf Generator, Rare Bird was formed around the principle of keyboard dominated progressive rock which eschewed the use of guitars. Following the success of their debut album and single ("Sympathy"), the band recorded this classic album in the Summer of 1970. "As Your Mind Flies By" featured the epic "Flight", a legendary piece which dominated the albums second side. An excellent work, the album met with much success, with Billboard magazine in America declaring Rare Bird to be in the top ten best new acts of the year. 24 bit remastered!! This version has 3 bonus track, 2 alternative versions and 1 sofar unreleased track.